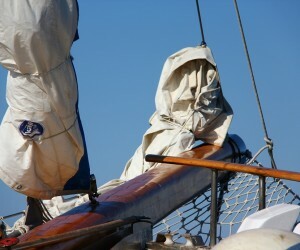 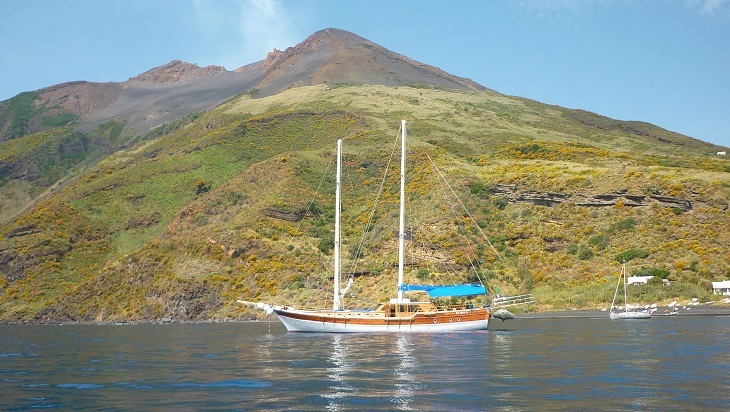 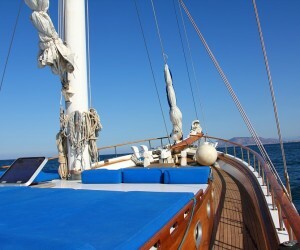 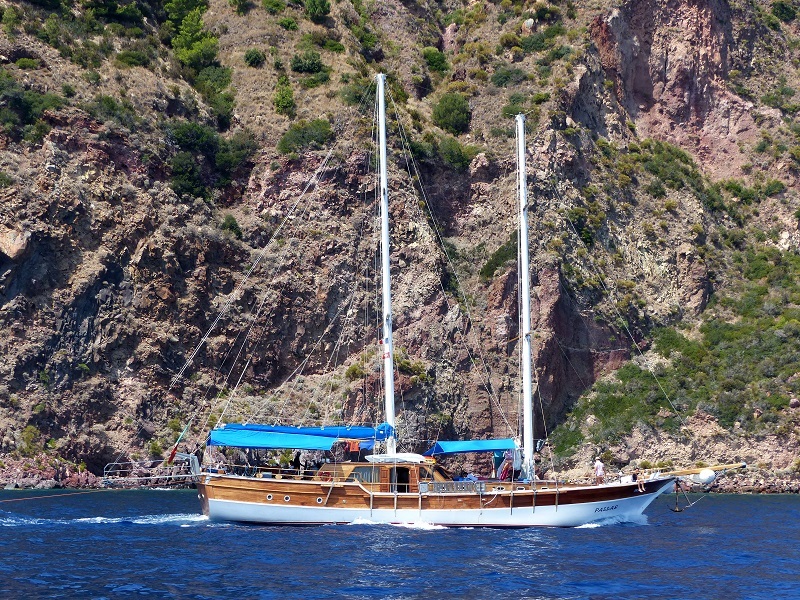 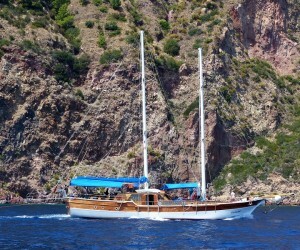 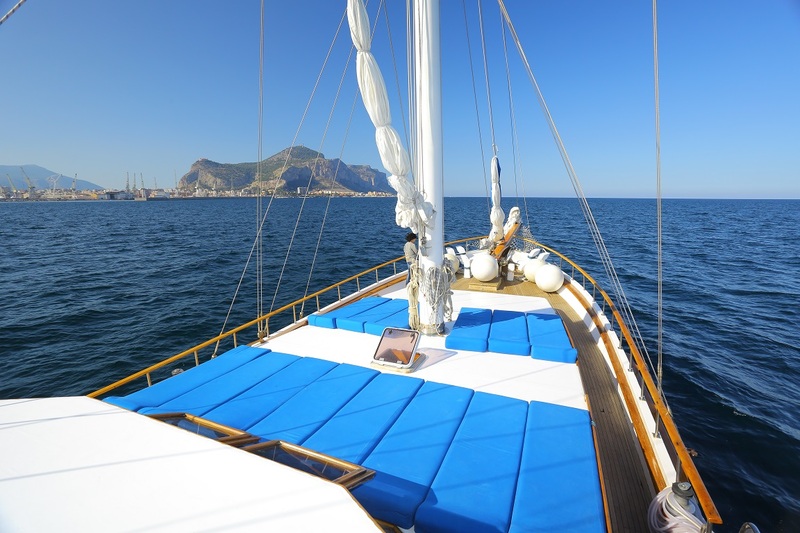 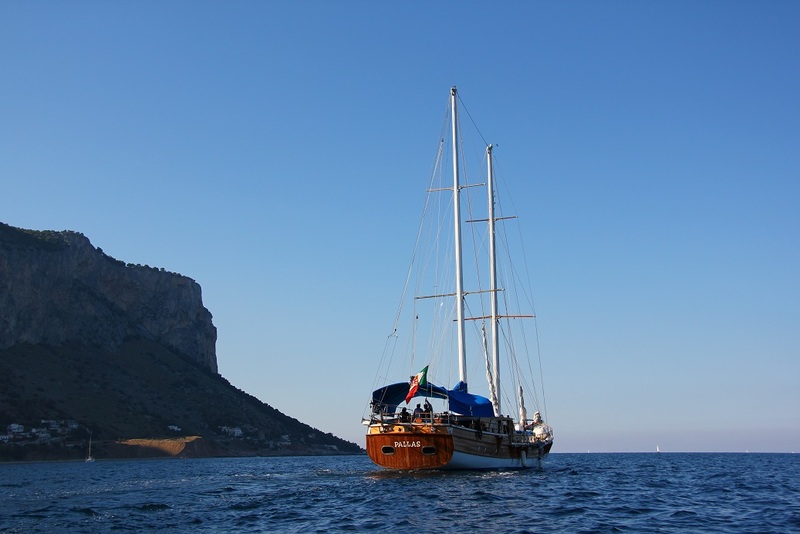 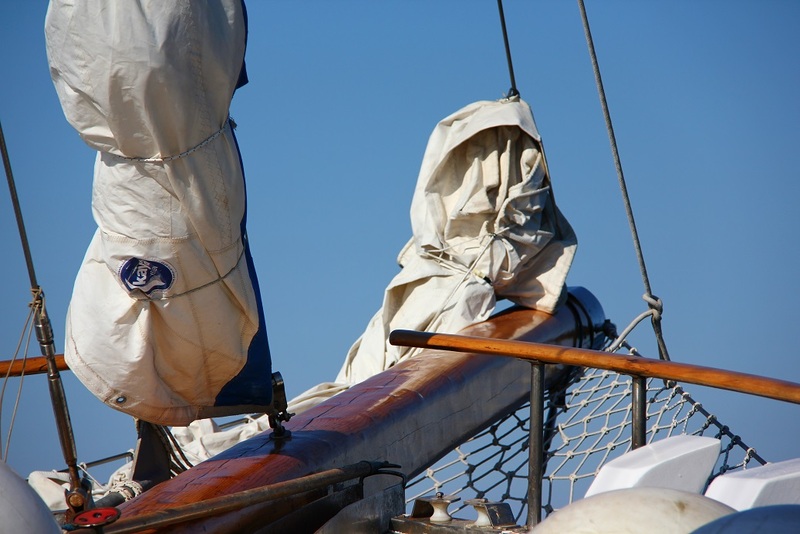 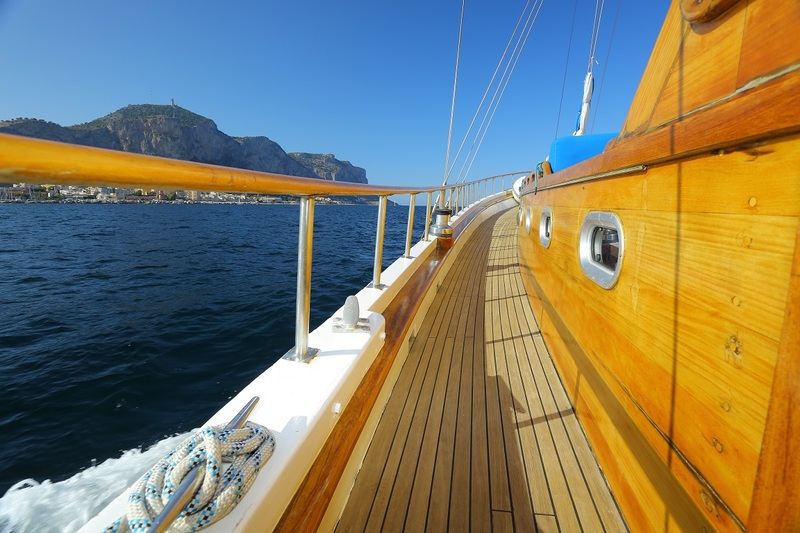 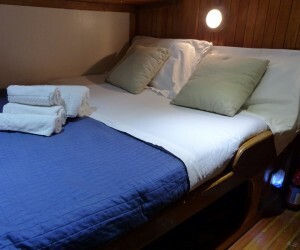 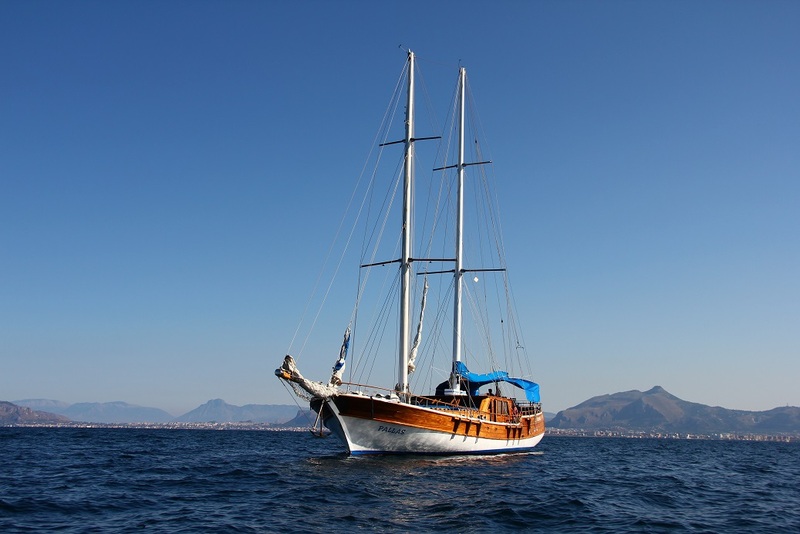 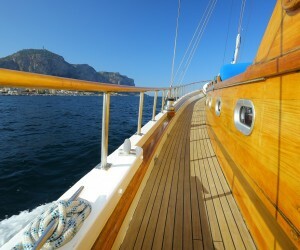 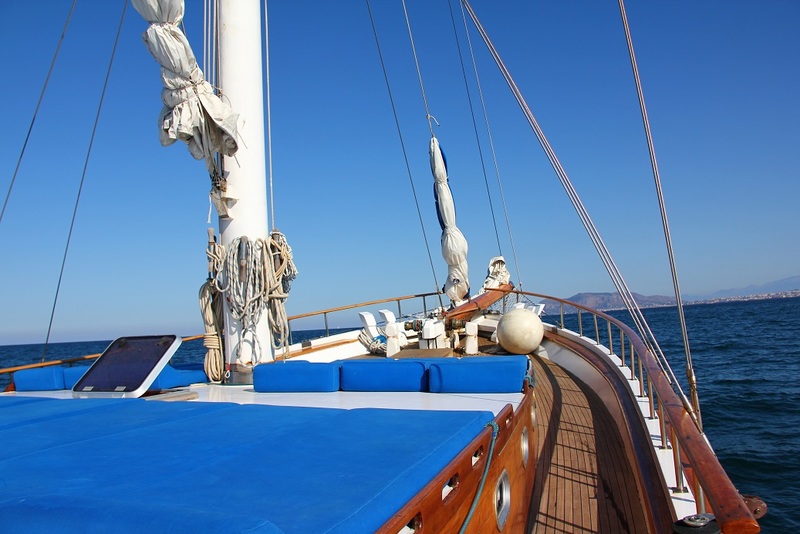 Our boat, the Pallas, offers all the comforts of a modern yacht with the charm of an old wooden schooner. 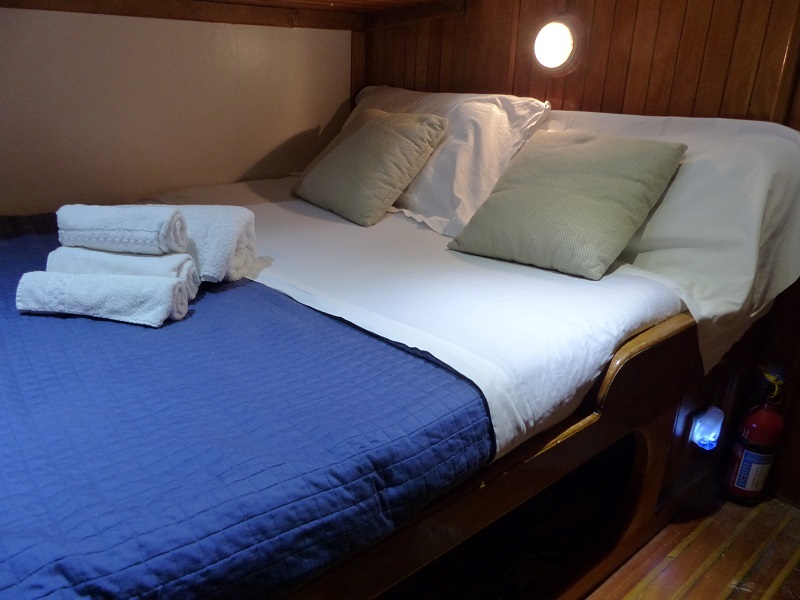 The caique is a large and comfortable boat, with sunbathing areas, Wifi, air conditioning and private bathrooms in each cabin. 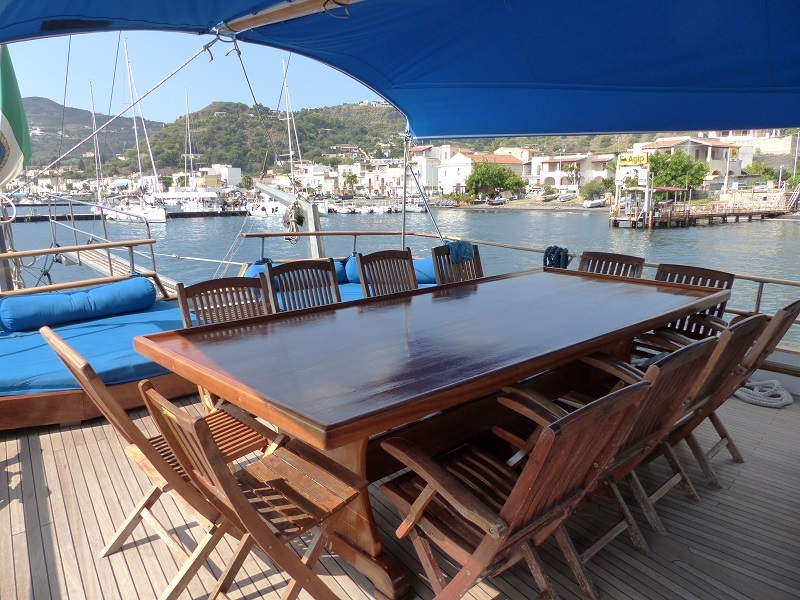 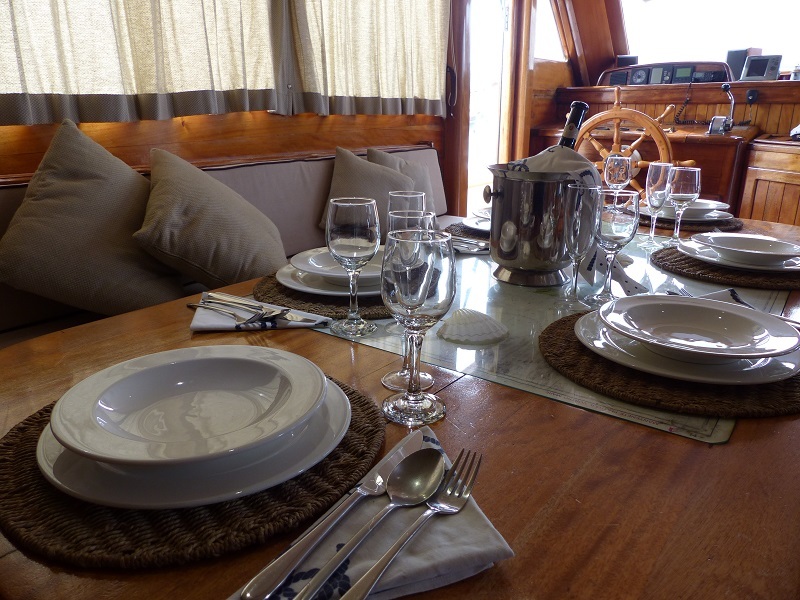 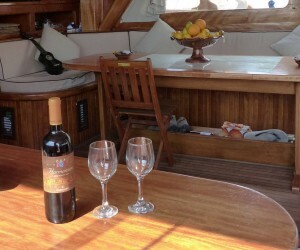 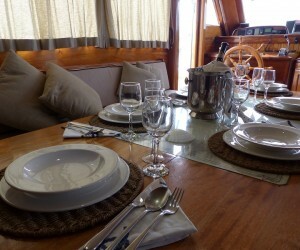 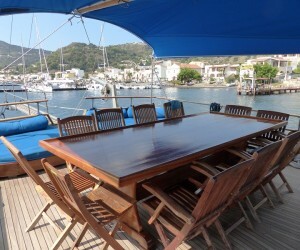 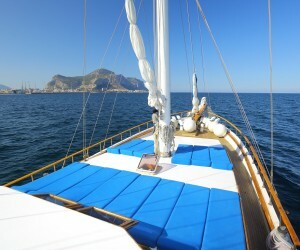 An expert, young, friendly and helpful crew will accompany you throughout the charter. 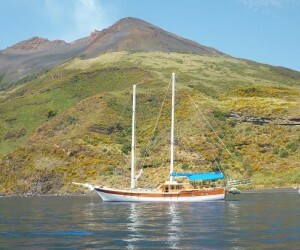 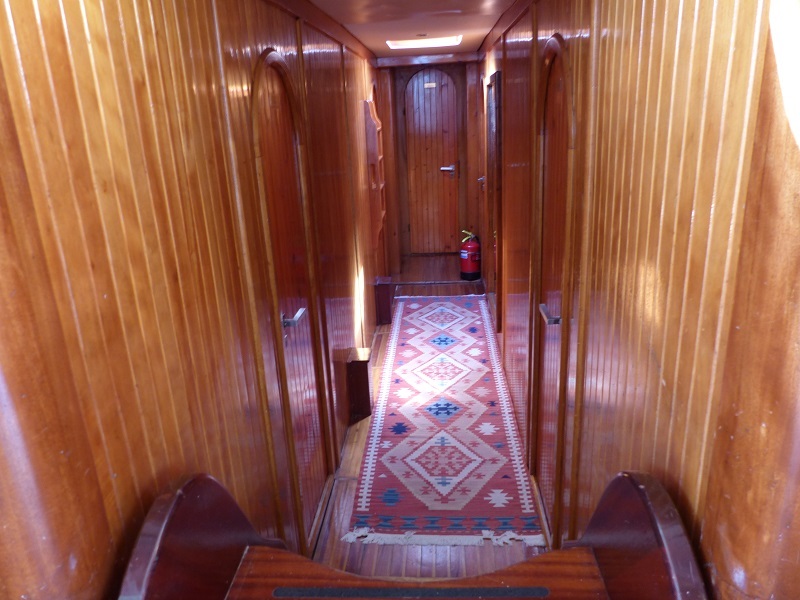 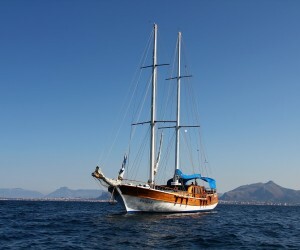 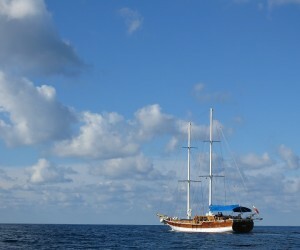 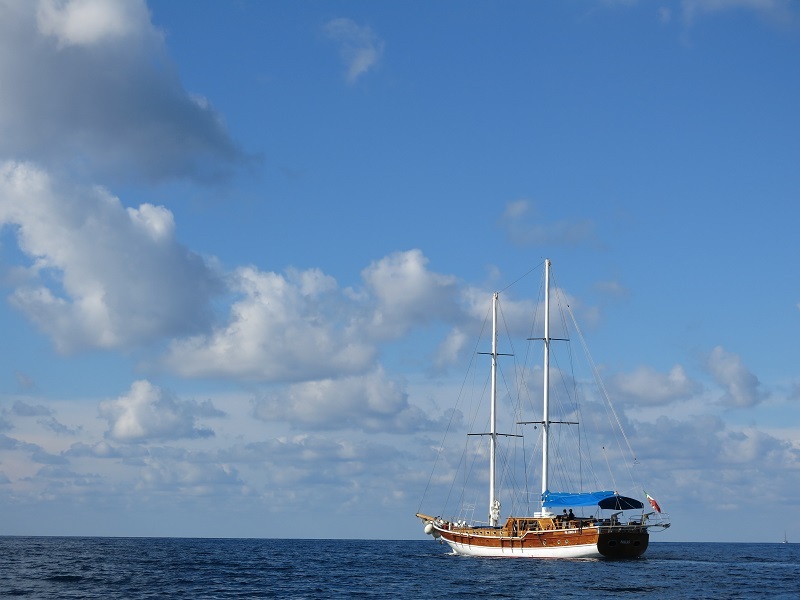 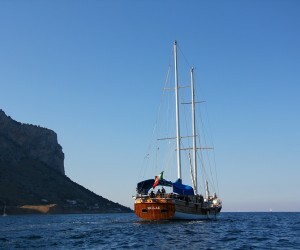 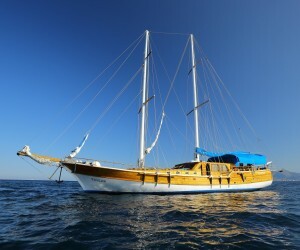 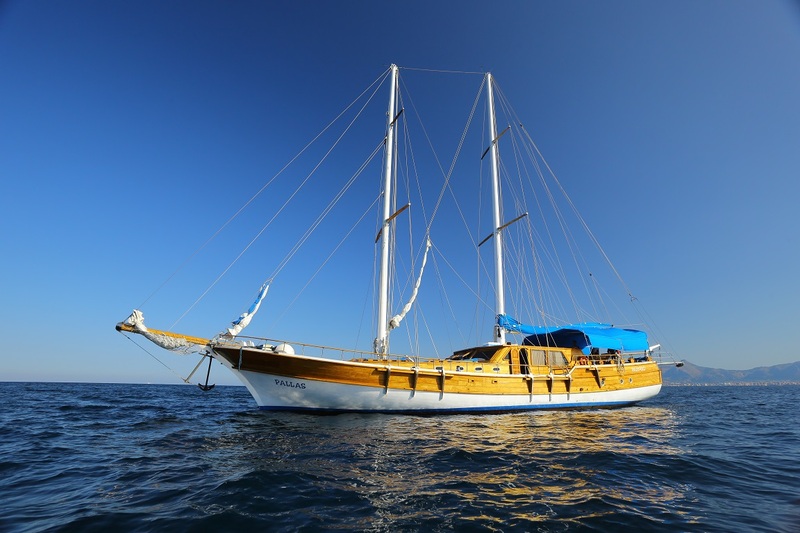 The Pallas is a traditional wooden Turkish vessel : “goélette” with 6 cabins (including 2 triple cabins) with A.C. and heat. 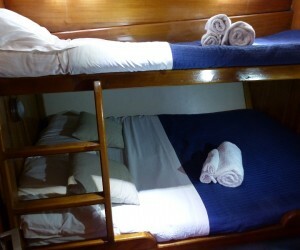 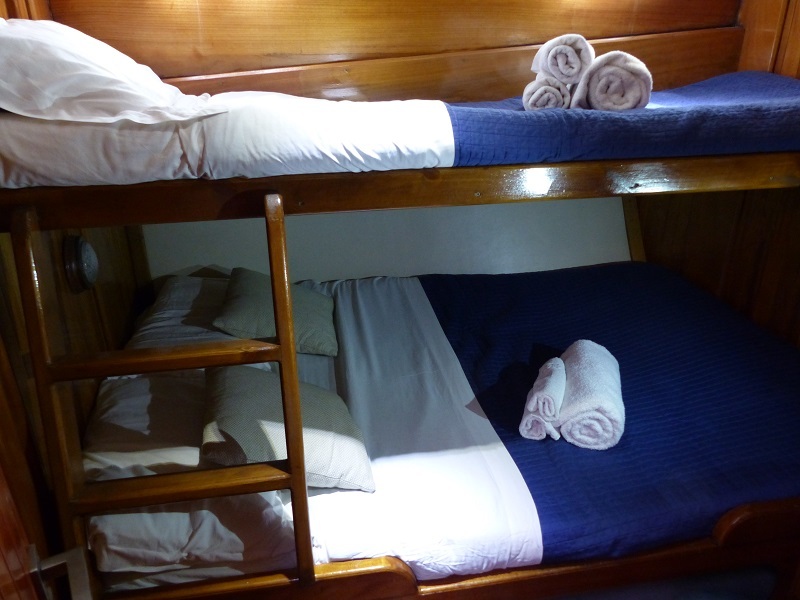 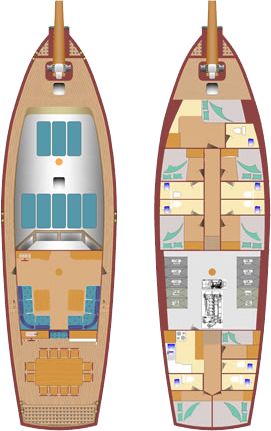 All cabins are also equipped with: toilet, sink, shower, towels, closet, an electric outlet always powered 220 Volt. 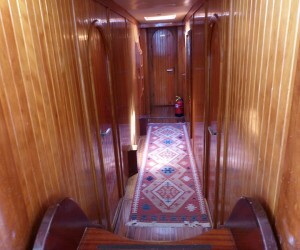 Fire Extinguisher 11 Fire Ext.